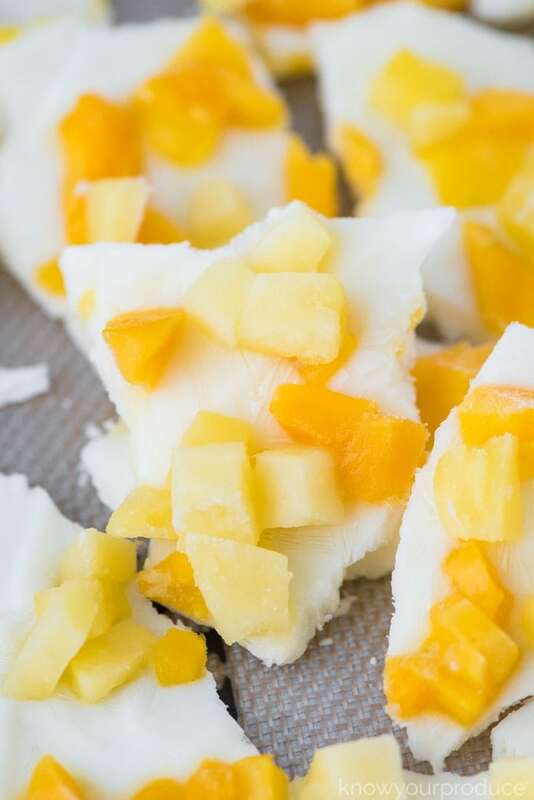 Frozen Yogurt Bark with Pineapple Mango bits will be a hit in your house! 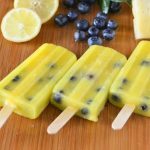 Make multiple ways so you’ll always have refreshing frozen desserts ready in the freezer. 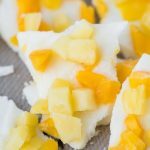 Frozen Yogurt Bark is a great healthy treat for the whole family. 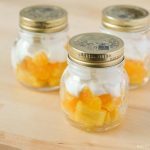 If you’re craving something sweet just make this easy recipe, even the kids can get involved making it! 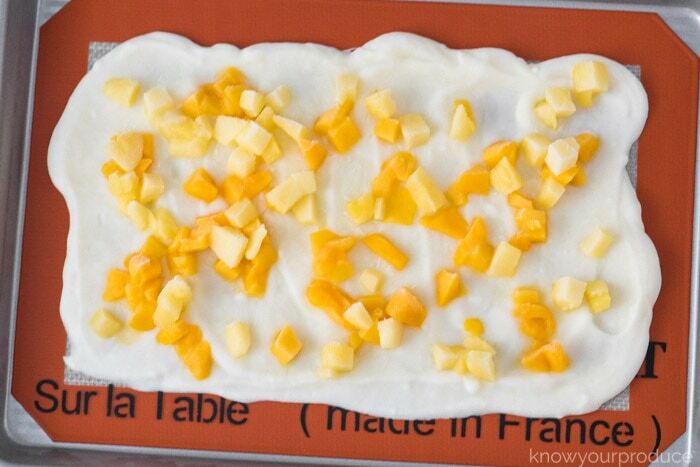 Spread the yogurt onto a silpat lined baking sheet and then cover with chopped fruit. Place the baking sheet into the freezer 2-3 hours or overnight. Once it’s fully frozen, break the bark up and enjoy! When picking a yogurt use one that you will eat plan. If you don’t like it when it’s not frozen you won’t like it frozen. 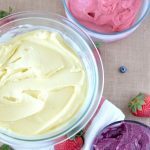 Add flavors to your yogurt. 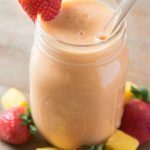 You can easily add extracts or blended fruits. Use a Silpat so you can easily remove the bark from the sheet pan. Don’thave a Silpat? You can also use parchment paper. Only keep out what you’ll be eating and freeze the rest for later. 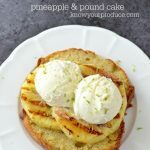 Use a variety of fruits! You can make more than one flavor on the sheet pan. Yes, it will melt. Keep out enough to eat and safe leftovers in a freezer safe container. 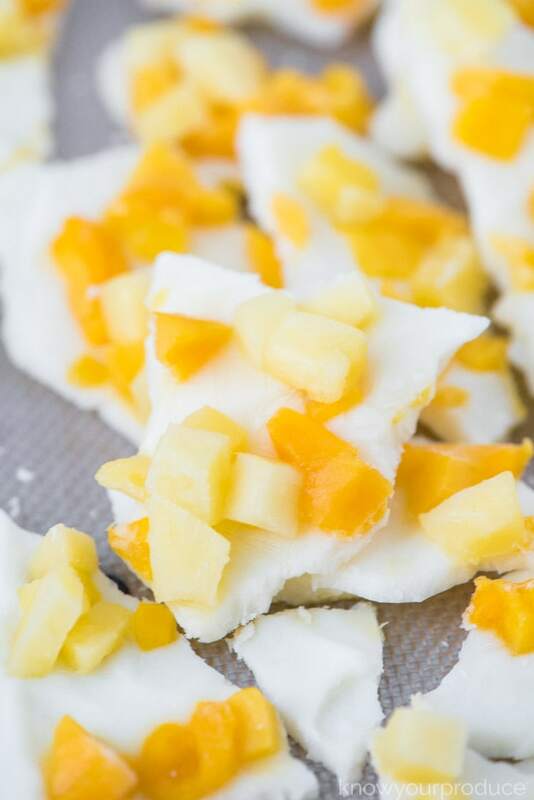 Frozen Yogurt Bark with Pineapple Mango bits will be a hit in your house! 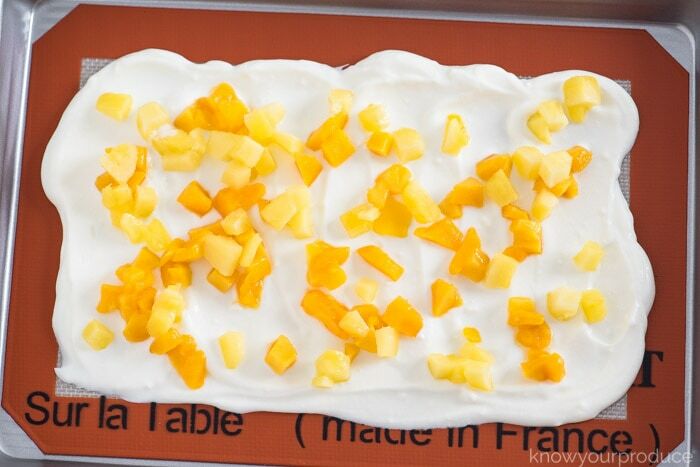 Make multiple ways so you'll always have refreshing frozen desserts ready in the freezer. Once it's fully frozen, break the bark up and enjoy! When picking a yogurt use one that you will eat plan. If you don't like it when it's not frozen you won't like it frozen. 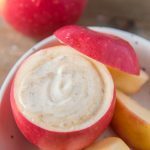 Add flavors to your yogurt. 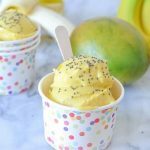 You can easily add extracts or blended fruits. 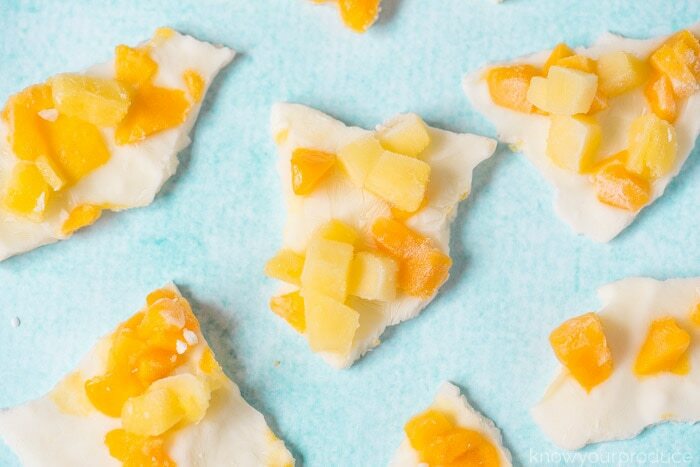 Use a Silpat so you can easily remove the frozen yogurt bark from the sheet pan. Don'thave a Silpat? You can also use parchment paper. Wait, what is a Silpat? A Silpat is a silicone mat that's nonstick. Great for baking too! Only keep out what you'll be eating and freeze the rest for later. 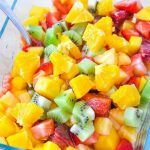 Use a variety of fruits! You can make more than one flavor on the sheet pan.